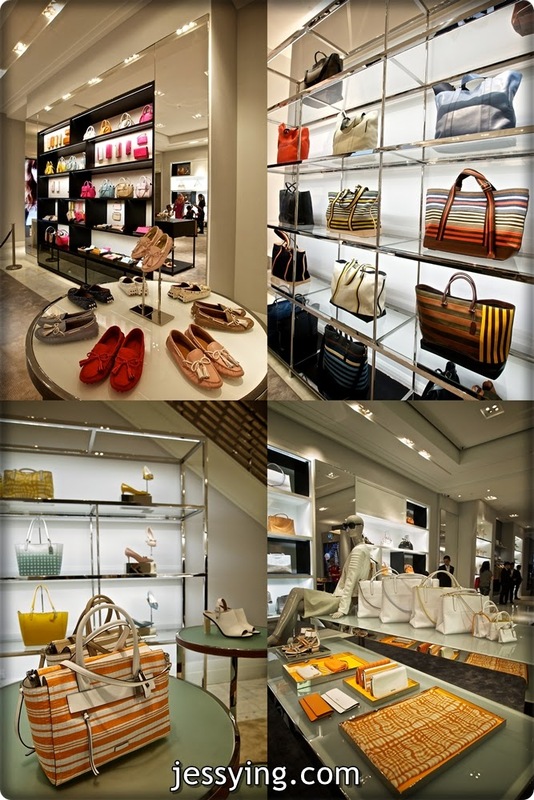 Coach, Inc., a leading New York design house of modern luxury accessories is excited to announce the grand opening of its new flagship store in Pavilion Mall, Kuala Lumpur. Coach has transformed the location into a 5,158 square foot, two floor dual gender store that has been fully updated to support Coach’s transformation to a global lifestyle brand. The décor combines stainless steel and white gloss fixtures which are offset with warm grey walls and lush area rugs while a video monitor wall showcases the newest campaigns from the brand. Oh I love this season Spring/Summer Collection, so pastel! 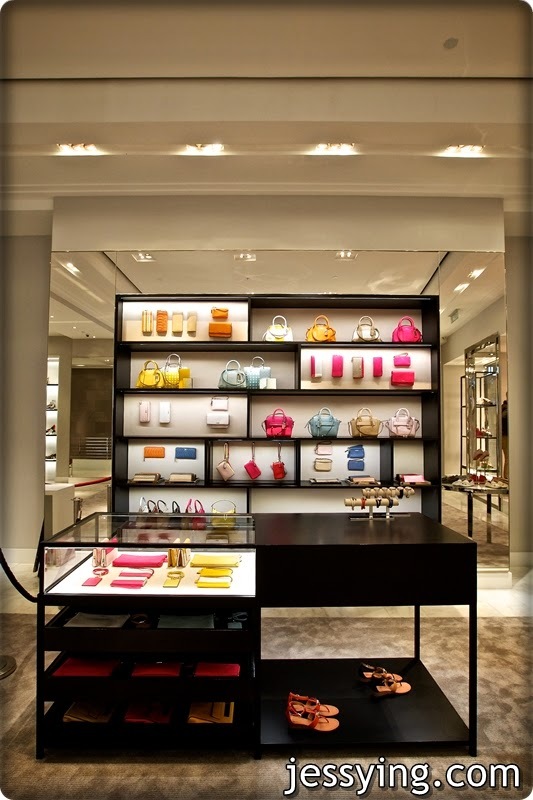 The new store features a full expression of the women’s Coach lifestyle collection and includes bags, small leather goods, footwear, apparel, outerwear, soft accessories, jewelry, watches, fragrance and eyewear. 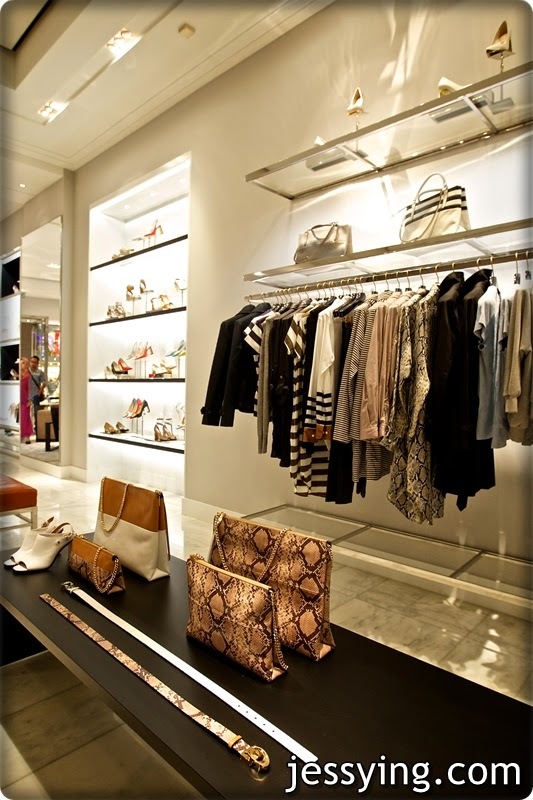 A dedicated women’s shoe salon, a distinct eyewear section, and expanded apparel offerings as well as a fitting room enhance the shopping experience. The dedicated men’s section also offers a more substantial selection of bags, outerwear, small leather accessories and eyewear products. Although the store is huge but on the day of the opening it's so crowded! This is one of my favourite one. I love orange colour purse! So summer-ish! Celebrities wearing Coach at the launch. And took a picture with Aaron Aziz! Handsome or not ? And I do honestly think their new store design is so much better than their previous one. Now this looks spacious and there are more collections available in the store! I really like this pink one! I was contemplating to get this when we are offered 20% off on thay day but then again I had another 2 holiday trips coming up.. so KIV this first!